52 y/o female with a history previous cervical cancer presents stating that she has not urinated in two days, c/o abdominal pain and some distention. i-stat labs show a creatinine of 7.5. What is the likely etiology of these findings? Describe the indications, contraindications, and limitations of urinary tract CUS. 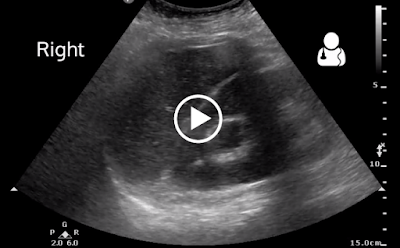 Identify clinically relevant sonographic anatomy of the genitourinary system. Perform the CUS protocol required. Recognize the relevant focused findings and pitfalls when evaluating for hydronephrosis, renal calculi, renal masses, and bladder size. Gaspari RJ, Horst K. Emergency ultrasound and urinalysis in the evaluation of flank pain. Acad Emerg Med. 2005;12(12):1180–4..
Herbst MK, Rosenberg G, Daniels B, et al. Effect of Provider Experience on Clinician-Performed Ultrasonography for Hydronephrosis in Patients With Suspected Renal Colic. Ann Emerg Med. 2014. doi:10.1016/j.annemergmed.2014.01.012. Moore CL, Bomann S, Daniels B, et al. Derivation and validation of a clinical prediction rule for uncomplicated ureteral stone--the STONE score: retrospective and prospective observational cohort studies. Bmj. 2014;348(mar26 2):g2191–g2191.